Thousands of shooters choose Federal Personal Defense ammo for their self-protection needs, and the reason why is simple: it's extremely effective at taking down a threat. 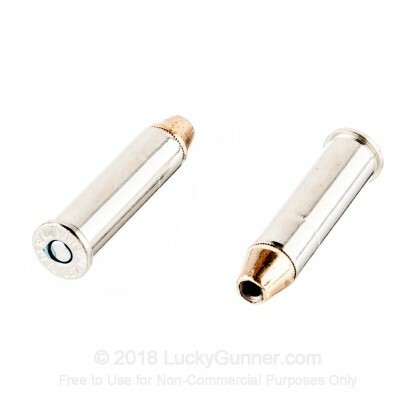 This 357 Magnum ammo features a 130 grain Hydra-Shok jacketed hollow point (JHP) bullet with strategically placed scores at the mouth that prompt massive mushrooming when the bullet hits the target. This translates to bone-crushing stopping power that will keep you and your family safe. 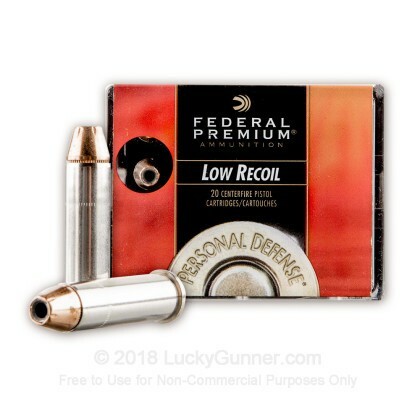 Federal designs this ammo to produce a low recoil, which makes it much easier to handle in stressful situations. When dealing with a serious situation like a home invasion, it is vital that your ammunition functions properly. This is why Federal uses nickel-plated brass casings. 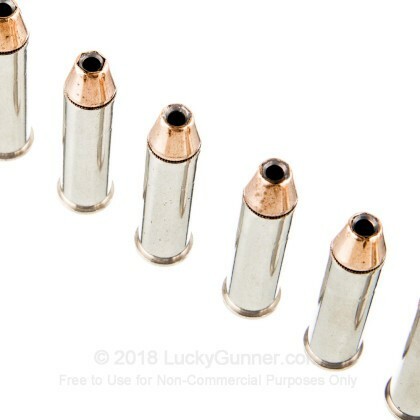 Nickel-plated brass is known for its smooth feeling and ejecting that minimizes the risk of firearm malfunction. These casings are new-production, Boxer-primed, and reloadable. The anti-corrosive nature of the metal also makes this a great option for dry storage. Federal's ammunition is American-made and manufactured in their Anoka, Minnesota factory. Shooters have trusted Federal with all their shooting needs since 1922. 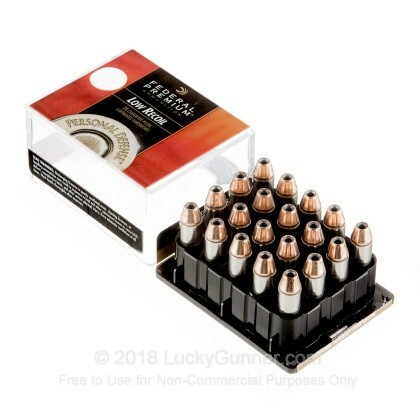 Order your bulk case of this 357 Mag ammo today! 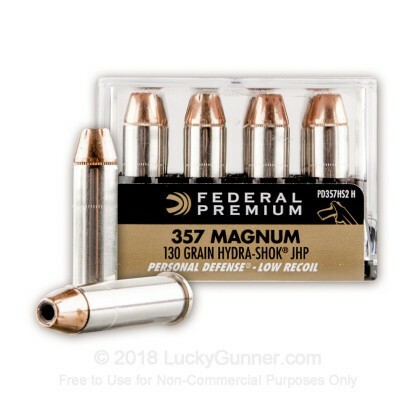 We don't have any reviews yet for this particular .357 Magnum ammo from Federal. 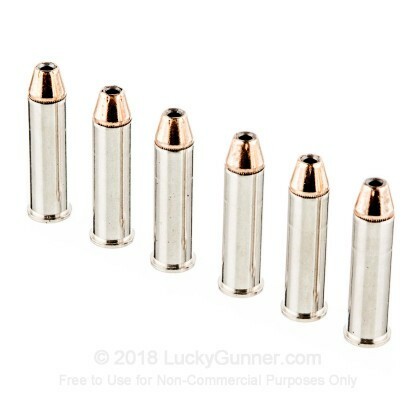 If you'd like to be the first to review this particular .357 Magnum ammo from Federal, fill out the form below. We also have this 357 Magnum - 130 gr Hydra-Shok JHP - Federal - 20 Rounds ammo in stock in a smaller quantity.